Bergamut uçucu yağı, gıda, içecek, şekerleme ve kozmetik endüstrilerinde kullanımı olan değeri yüksek olan bir uçucu yağdır. Yüksek uçuculuğu ve çevresel etkilere karşı duyarlılığı nedeniyle, bergamut uçucu yağının raf ömrü boyunca stabilitesini korumak için koruyucu önlemler alınması gerekmektedir. Bu çalışmanın amacı, farklı taşıyıcı materyallerle kapsüllenmesi, ve bu materyallerin mikrokapsüllerde ürün verimi, kapsülleme verimi, fiziksel ve kimyasal özellikler üzerine etkilerinin incelenmesidir. Bu amaçla, farklı konsantrasyonlarda (100: 0, 0: 100, 25:75, 75:25, 40:60, 60:40) arap zamkı ve maltodekstrin (DE 12) kullanılarak bergamut uçucu yağı kapsüllenmiştir. Elde edilen bergamut uçucu yağı mikrokapsüllerinin fiziksel ve kimyasal (terpenoid kompozisyonu) özellikleri değerlendirilmiştir. Ayrıca, mikrokapsüller 25°C'de 20 gün boyunca depolanmış ve depolamadan sonra önemli uçucu yağ bileşenlerinin içeriği ve stabilitesi belirlenmiştir. Emülsiyonlarda, maltodekstrin oranı arttığında ürün verimi artmıştır ancak arap zamkı, uçucu yağ bileşiminin daha iyi korunmasını sağlamıştır. Bergamot peel essential oil is a high value product which can be used in food, beverage, confectionary, and cosmetic industries. Bergamot essential oil has high volatility, so it could be easily affected by environmental factors so it should be protected with further techniques to increase its shelf-life. The aim of this study was to examine the effect of different wall material compositions on the product yield, encapsulation efficiency, physical and chemical properties of encapsulated oil powders. For this purpose, bergamot essential oil was encapsulated with gum arabic and maltodextrin (DE 12) in varying concentrations (100:0, 0:100, 25:75, 75:25, 40:60, 60:40). Then, physical and chemical (terpenoid composition) characteristics of microcapsules were evaluated. The microcapsules were stored at 25°C for 20 days and the content and stability of main aroma compounds were determined after storage. The encapsulation yield was increased when the maltodextrin ratio was increased however, gum arabic provided greater protection of essential oil composition. Al-Asheh, S., Jumah, R., Banat, F., & Hammad, S. (2003). The use of experimental factorial design for analysing the effect of spray dryer operating variables on the production of tomato powder. Food and bioproducts processing, 81(2), 81-88. Babu, G. K., & Singh, B. (2010). Characteristics variation of lavender oil produced by different hydrodistillation techniques. Comprehensive bioactive natural products: Quality control & standardization, 8, 221-135. Beristain, C., Garcıa, H., & Vernon-Carter, E. (2001). Spray-dried encapsulation of cardamom (Elettaria cardamomum) essential oil with mesquite (Prosopis juliflora) gum. LWT-Food Science and Technology, 34(6), 398-401. Bertolini, A., Siani, A., & Grosso, C. (2001). Stability of monoterpenes encapsulated in gum arabic by spray-drying. Journal of Agricultural and Food Chemistry, 49(2), 780-785. Bousbia, N., Vian, M. A., Ferhat, M. A., Meklati, B. Y., & Chemat, F. (2009). A new process for extraction of essential oil from Citrus peels: Microwave hydrodiffusion and gravity. Journal of food Engineering, 90(3), 409-413. Carneiro, H. C., Tonon, R. V., Grosso, C. R., & Hubinger, M. D. (2013). Encapsulation efficiency and oxidative stability of flaxseed oil microencapsulated by spray drying using different combinations of wall materials. Journal of food Engineering, 115(4), 443-451. De Araujo Santiago, M. C. P., Nogueira, R. I., Paim, D. R. S. F., Gouvêa, A. C. M. S., de Oliveira Godoy, R. L., Peixoto, F. M., . . . Freitas, S. P. (2016). Effects of encapsulating agents on anthocyanin retention in pomegranate powder obtained by the spray drying process. LWT-Food Science and Technology, 73, 551-556. De Oliveira, M. A., Maia, G. A., De Figueiredo, R. W., De Souza, A. C. R., De Brito, E. S., & De Azeredo, H. M. C. (2009). Addition of cashew tree gum to maltodextrin‐based carriers for spray drying of cashew apple juice. International journal of food science & technology, 44(3), 641-645. Eleni, M., Antonios, M., George, K., Alexios-Leandros, S., & Prokopios, M. (2009). High quality bergamot oil from Greece: Chemical analysis using chiral gas chromatography and larvicidal activity against the West Nile virus vector. Molecules, 14(2), 839-849. Fuchs, M., Turchiuli, C., Bohin, M., Cuvelier, M.-E., Ordonnaud, C., Peyrat-Maillard, M., & Dumoulin, E. (2006). Encapsulation of oil in powder using spray drying and fluidised bed agglomeration. Journal of food Engineering, 75(1), 27-35. Ghabraie, M., Vu, K. D., Tata, L., Salmieri, S., & Lacroix, M. (2016). Antimicrobial effect of essential oils in combinations against five bacteria and their effect on sensorial quality of ground meat. LWT-Food Science and Technology, 66, 332-339. Goula, A. M., & Adamopoulos, K. G. (2004). Spray drying of tomato pulp: effect of feed concentration. Drying Technology, 22(10), 2309-2330. Goula, A. M., & Adamopoulos, K. G. (2008). Effect of maltodextrin addition during spray drying of tomato pulp in dehumidified air: II. Powder properties. Drying Technology, 26(6), 726-737. Impellizzeri, D., Bruschetta, G., Di Paola, R., Ahmad, A., Campolo, M., Cuzzocrea, S., . . . Navarra, M. (2015). The anti-inflammatory and antioxidant effects of bergamot juice extract (BJe) in an experimental model of inflammatory bowel disease. Clinical Nutrition, 34(6), 1146-1154. Jafari, S. M., Assadpoor, E., He, Y., & Bhandari, B. (2008). Encapsulation efficiency of food flavours and oils during spray drying. Drying Technology, 26(7), 816-835. Jaya, S., & Das, H. (2004). Effect of maltodextrin, glycerol monostearate and tricalcium phosphate on vacuum dried mango powder properties. Journal of food Engineering, 63(2), 125-134. Mollace, V., Sacco, I., Janda, E., Malara, C., Ventrice, D., Colica, C., . . . Muscoli, C. (2011). Hypolipemic and hypoglycaemic activity of bergamot polyphenols: from animal models to human studies. Fitoterapia, 82(3), 309-316. Nadeem, H. Ş., Torun, M., & Özdemir, F. (2011). Spray drying of the mountain tea (Sideritis stricta) water extract by using different hydrocolloid carriers. LWT-Food Science and Technology, 44(7), 1626-1635. Navarra, M., Mannucci, C., Delbò, M., & Calapai, G. (2015). Citrus bergamia essential oil: from basic research to clinical application. Frontiers in pharmacology, 6, 36. Penbunditkul, P., Yoshii, H., Ruktanonchai, U., Charinpanitkul, T., Assabumrungrat, S., & Soottitantawat, A. (2012). The loss of OSA‐modified starch emulsifier property during the high‐pressure homogeniser and encapsulation of multi‐flavour bergamot oil by spray drying. International Journal of Food Science & Technology, 47(11), 2325-2333. Przybysz, M. A., Onacik-Gür, S., Majtczak, K., & Dłużewska, E. (2016). The stability of spray-dried microencapsulated β-carotene in the mixture of gum Arabic, OSA type modified starch and maltodextrin. Italian Journal of Food Science, 28(4), 716-732. Reineccius, G. A. (2004). The spray drying of food flavors. Drying Technology, 22(6), 1289-1324. Ribes, S., Fuentes, A., Talens, P., Barat, J. M., Ferrari, G., & Donsì, F. (2017). Influence of emulsifier type on the antifungal activity of cinnamon leaf, lemon and bergamot oil nanoemulsions against Aspergillus niger. Food Control, 73, 784-795. Roos, Y., & Karel, M. (1991). Phase transitions of mixtures of amorphous polysaccharides and sugars. Biotechnology Progress, 7(1), 49-53. Sawamura, M., Onishi, Y., Ikemoto, J., Tu, N. T. M., & Phi, N. T. L. (2006). Characteristic odour components of bergamot (Citrus bergamia Risso) essential oil. Flavour and fragrance journal, 21(4), 609-615. Sawamura, M., Poiana, M., Kawamura, A., Itoh, T., Song, H., Ukeda, H., & Mincione, B. (1999). Volatile components of peel oils of Italian and Japanese lemon and bergamot. 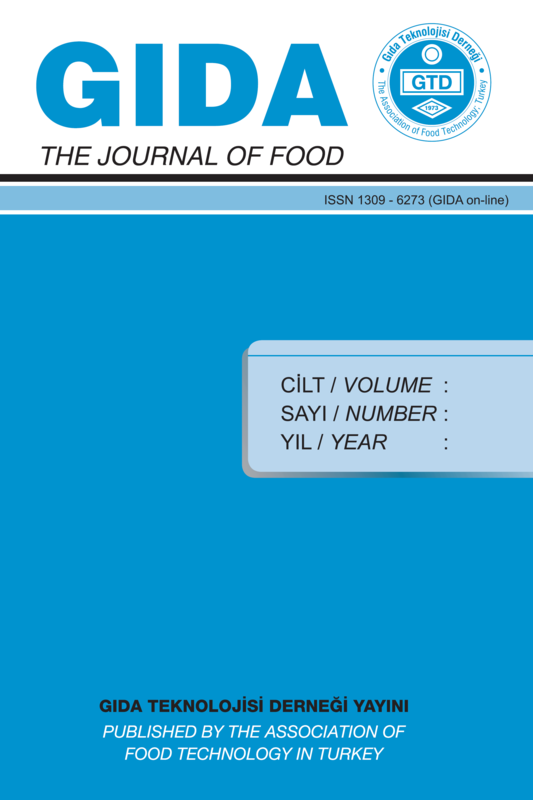 Italian journal of food science: IJFS= Rivista italiana di scienza degli alimenti. Turchiuli, C., Fuchs, M., Bohin, M., Cuvelier, M.-E., Ordonnaud, C., Peyrat-Maillard, M., & Dumoulin, E. (2005). Oil encapsulation by spray drying and fluidised bed agglomeration. Innovative Food Science & Emerging Technologies, 6(1), 29-35. Verzera, A., Trozzi, A., Gazea, F., Cicciarello, G., & Cotroneo, A. (2003). Effects of rootstock on the composition of bergamot (Citrus bergamia Risso et Poiteau) essential oil. Journal of Agricultural and Food Chemistry, 51(1), 206-210. Visalli, G., Ferlazzo, N., Cirmi, S., Campiglia, P., Gangemi, S., Di Pietro, A., . . . Navarra, M. (2014). Bergamot juice extract inhibits proliferation by inducing apoptosis in human colon cancer cells. Anti-Cancer Agents in Medicinal Chemistry (Formerly Current Medicinal Chemistry-Anti-Cancer Agents), 14(10), 1402-1413. Wang, W., Dufour, C., & Zhou, W. (2015). Impacts of spray-drying conditions on the physicochemical properties of soy sauce powders using maltodextrin as auxiliary drying carrier. CyTA-Journal of Food, 13(4), 548-555. Yang, Y., Zhao, C., Tian, G., Lu, C., Li, C., Bao, Y., . . . Zheng, J. (2018). Characterization of physical properties and electronic sensory analyses of citrus oil-based nanoemulsions. Food Research International. Zhang, Z., Song, H., Peng, Z., Luo, Q., Ming, J., & Zhao, G. (2012). Characterization of stipe and cap powders of mushroom (Lentinus edodes) prepared by different grinding methods. Journal of food Engineering, 109(3), 406-413.